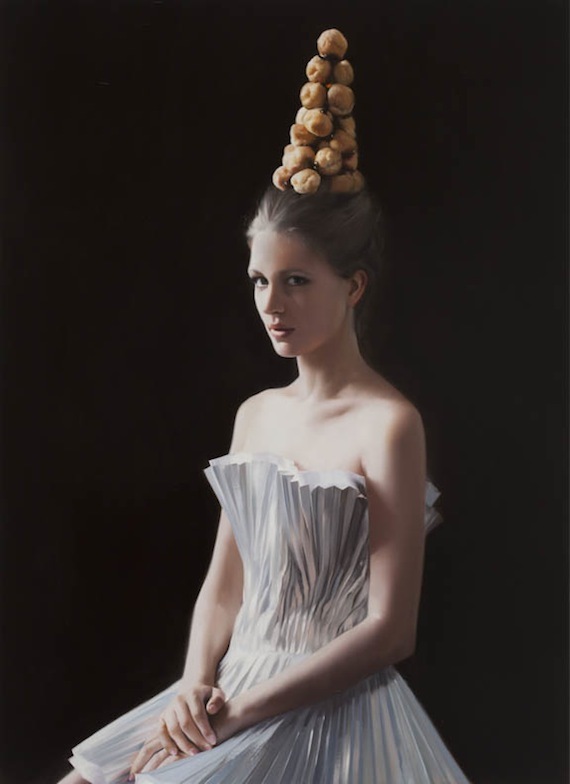 you may have seen will cotton's work already. 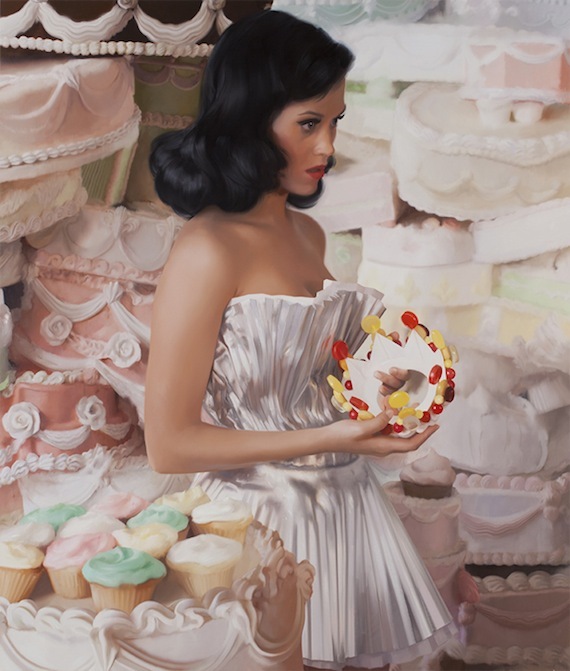 it's widely circulated for his luscious paintings of katy perry surrounded by fancy cakes and cotton candy. this is a common theme in his work and i've included some of my favourites below. i love the first image because of the sheer abundance of goodies! 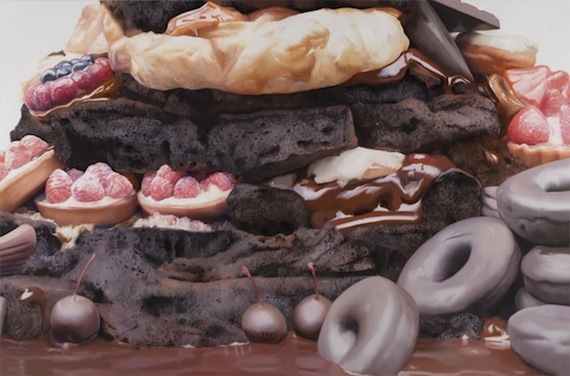 i don't know whether i like it because it's a commentary on the ubiquity of baked goods and consumption, or because it looks so delicious. maybe it just reminds me of a similar theme in the work of lee price. and i love me some lee price!